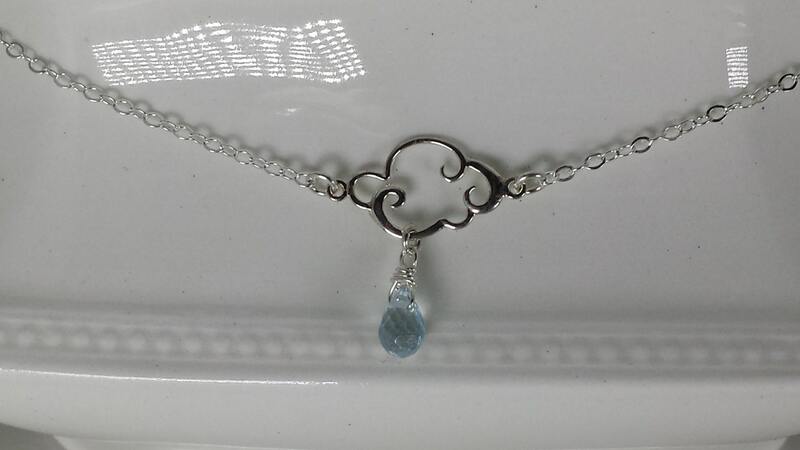 Spending much of my life in Florida, I came to love the rain so this necklace holds a special place in my heart. 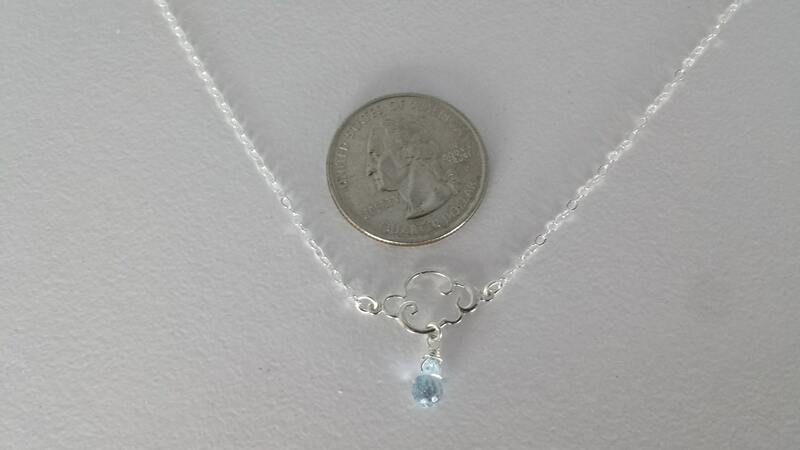 A tiny cloud holds a single, small Topaz raindrop to make a simple, whimsical necklace that you can wear with just about anything! Cloud link is about 18mm and topaz drop is about 10mm. 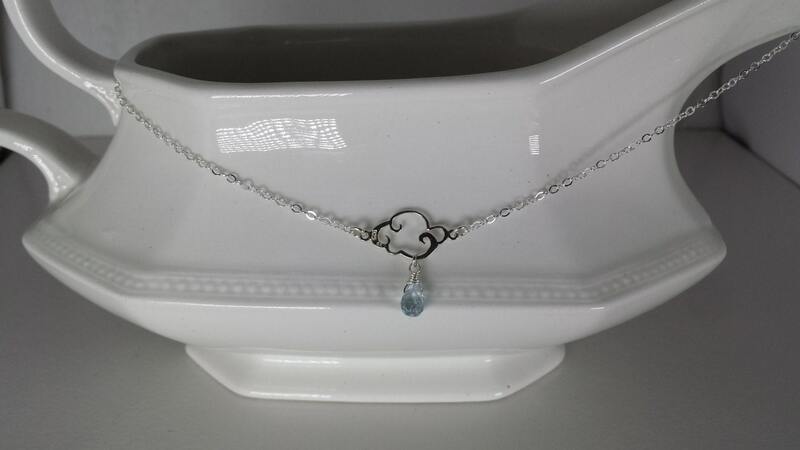 Necklace is available in 14-19 inches.